Aubusson tapestries bear some of the most opulent and intricate design styles of the mid 17th and 18th centuries. Not only were these rugs a status symbol, but they also developed a new style of Oriental rugs that European royalty quickly latched onto. Where did Aubusson rugs come from? The small city of Aubusson France, next to the Creuse River, has been well known for its carpets and tapestries since the 15th century. Although it isn’t officially known that the Aubusson tapestry weaving styles came about in the 15th century, the style became highly popular in that timeframe. It wasn’t until the late 17th century when the Aubusson flat-weave weaving style came about to meet royal demand. In the early 18th century, Louis the XV, Louis the XVI, and Napoleon wanted to fill their large palaces with luxurious rugs that spanned the entire floor of the room. Aubusson, France answered the call by turning their previous carpet and tapestry weaving looms into huge looms; these looms could flat-weave carpets the size of a great hall or palace room. These easy-to-manufacture, opulent rugs enamored the French and other European rulers, and Aubusson rugs quickly made their way into the eye of the public. By the late 18th century, more than one hundred Aubusson carpets were registered in the Palace of Versailles, and many other royal palaces had large numbers of these rugs as their floor coverings as well. The main reason why these rugs were so popular was because of the extraordinary large looms that could manufacture exceedingly large rugs in a fraction of the time of other weaving cultures. Besides the quick manufacture time, Aubusson rugs had beautiful, soft colors and elaborate, engraved weaving styles that were reminiscent of the Greco-Roman styles. This made them very culturally relevant and a great alternative to other traditional styles of the time. 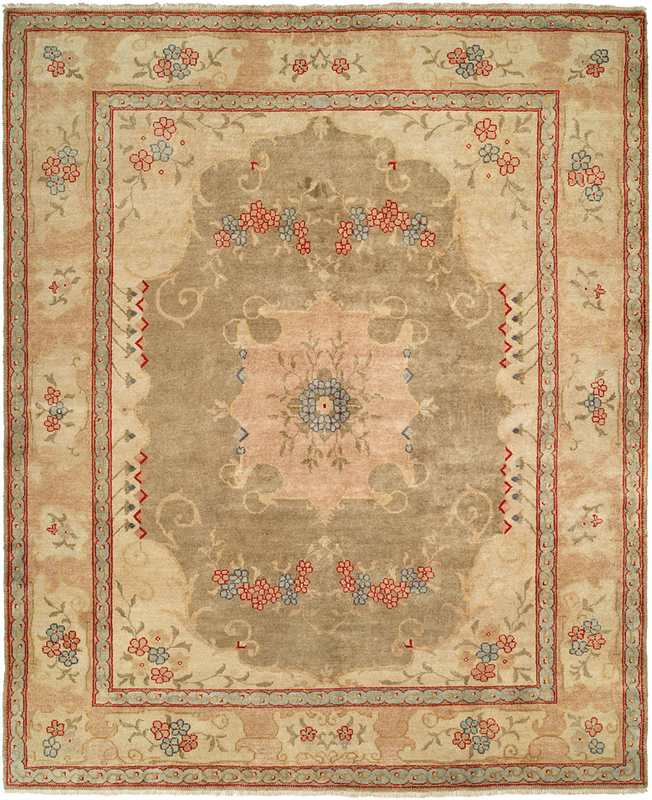 Aubusson rugs have a timeless appeal that comes with a unique history. Although nearly all the Aubusson rugs produced in the 17th and 18th century are very large, the small rugs would make beautiful additions to any home.